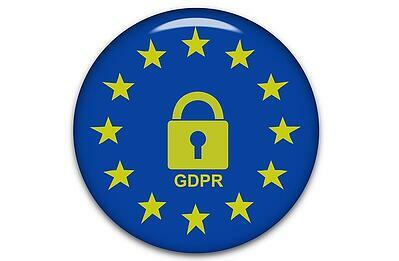 The General Data Protection Regulation (GDPR), effective May 25, 2018, is the most important change in data privacy regulation in decades. Even if your company is outside the European Union (EU), GDPR may still apply to you if you process or hold the personal data of people residing in the EU. In this article, we’ll introduce you to a new tool designed to help simplify compliance. If you have customers or vendors in the EU, they may legally require that you “anonymize” them, meaning you can’t store their personal data. This applies to any data that can be used to identify a specific person (i.e. name, phone numbers, and addresses - both physical and email). Since this type of personal data is often stored in Sage 300 for customer and vendor records, Sage introduced the new Data Anonymizer. In a nutshell, it replaces the customer or vendor’s personal data with random text that you specify. Data for the specified customer or vendor is changed throughout Sage 300. Certain standard fields (that contain personal data) as well as optional fields is replaced with the text/characters you typed in step 5. In other areas, the replacement content varies depending on the type of field. For example, data in amount fields is replaced with zero while data in date and time fields is replaced with the current date/time. A review of all fields related to the customer or vendor is recommended to confirm that no personal data remains. Removing customer and vendor personal data may not be your only requirement for GDPR compliance. Check original legislation documentation online for full requirements. If you have Sage CRM integrated with Sage 300, you must anonymize the customer or vendor in Sage CRM as well. It is important that you do this right away so that the personal data you’ve just removed from Sage 300 is not imported back into the system again from Sage CRM. If you’re running other Sage 300 components or integrated products, there may be other additional steps required. Contact us with your questions or refer to the fully detailed Sage Knowledgebase Article on the Data Anonymizer.